A psychologically twisting novel about a politically-charged act of violence that echoes through a small Spanish town; a debut novel that the New York Times Book Review calls "a triumph." It's 2004 in Muriga, a quiet town in Spain's northern Basque Country, a place with more secrets than inhabitants. Five years have passed since the kidnapping and murder of a young local politician-a family man and father-and the town's rhythms have almost returned to normal. 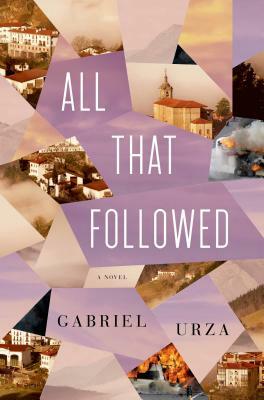 But in the aftermath of the Atocha train bombings in Madrid, an act of terrorism that rocked a nation and a world, the townspeople want a reckoning of Muriga's own troubled past: Everyone knows who pulled the trigger five years ago, but is the young man now behind bars the only one to blame? All That Followed peels away the layers of a crime complicated by history, love, and betrayal. The accounts of three townspeople in particular-the councilman's beautiful young widow, the teenage radical now in jail for the crime, and an aging American teacher hiding a traumatic past of his own-hold the key to what really happened. And for these three, it's finally time to confront what they can find of the truth. “Stunning...strange and ambitious... All That Followed is a triumph--Urza delineates his characters' perspectives with remarkable care...[The novel's] chief interests are memory and perception, and the eerie multidimensionality that arises when they are layered, somewhat imperfectly, on top of each other...The characters' perceptions start to haunt our own.